In 2016, the World Health Organisation launched its four-year campaign aimed at accelerating towards a leprosy free world. Leprosy, defined as a chronic infectious disease caused by Mycobacterium leprae affects skin, peripheral nerves, eyes and limbs. It can take up to 20 years for symptoms to appear. Multi Drug Therapy became available in 1995 worldwide, at no cost. More than 16 million patients have been treated with MDT over the past 20 years. Despite being a year into WHO’s eradication scheme, 22 countries are still considered to be ‘high burden’ and 96% of leprosy cases have been reported from these countries in the past year alone. The Rufiji District in Tanzania is one such area where the disease is considered endemic. 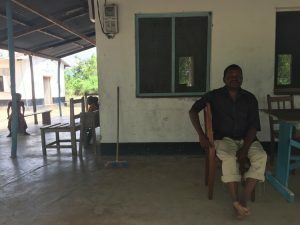 Abdallah Nguyu, a social worker and leprosy advocate, works as the leprosy centre manager in a small village within the Rufiji District. His work is funded by the Rufiji Leprosy Trust and is necessary for the continued support to those impacted by the disease. In the developed world, leprosy is merely a biblical reference to a time long past. However, in Kindwitwi and for most in Tanzania, leprosy is a reality. “The problem with leprosy is stigma. There are many people here who are cured from leprosy but they cannot go home because of the stigma. People came from different areas of Tanzania to be cured and cannot return to their families,” Mr Nguyu explained. “It is a real disease despite what people might think. It is caused by bacteria, just like any other disease. Before the 1980’s there was no proper cure. Now, you can catch leprosy and be treated and cured. The disease begins for most with skin patches across the body. These patches carry no sensation for sufferers. Often, the disease will go undetected for years and those infected with it will lose toes and fingers as the nerves become more damaged. Salima contracted leprosy over fifty years ago, following the death of her parents from the disease. She travelled from Northern Tanzania to receive treatment. “I came to the village on my own. I have no relatives. All of them have died and I have no children. I depend on the leprosy centre. I depend on the village,” she said. She receives full time care from the leprosy centre in the village and has a caretaker who feeds, bathes and clothes her daily. She is a victim of the stigmatisation surrounding the disease. There are many in the village who have been separated from their families because of the disease. Saidi came to the village many years ago after he contracted the disease. “I was separated from my parents. They did not have leprosy but I did,” he explained. The centre in Kindwitwi village works closely with the national Leprosy and TB programme, who aim to provide medication, funding and support to patients and their families. Salumu is the village’s leprosy representative and he works alongside the national programme to spread awareness of the disease. He receives funding from the government so that he can create specially designed shoes for patients suffering the debilitating side effects of the disease. 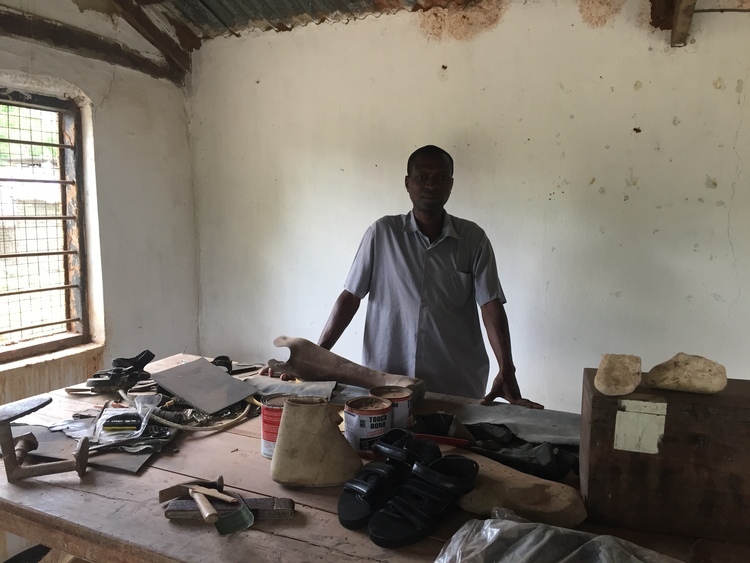 The Rufiji Leprosy Trust paid for Salumu’s training enabling him to become a specialist shoemaker. The Trust also provides funding to the village NGO which allows him to continue working in this capacity. “No leprosy patient pays for anything. The government pay for it all. If you need medicine, shoes or a new leg – the government will sponsor you,” he explained. Athumani is a fulltime care patient and receives the shoes from Sazuma. He is also involved in the awareness campaign the village aims to promote. “It was a long time ago when I got sick. I heard about the treatment available here, so I travelled on my own,” Athumani said. The stigma surrounding leprosy has allowed the disease to spread throughout the district. People fear social exclusion and some are even ostracised from their communities and families. Abdallah Nguyu and his colleagues are desperate to abolish the stigma. “We try not to accept any more patients into the village. If we continue putting people with leprosy together in one place, we are actually increasing the stigma ourselves. “Standard of life plays a large role in contracting the disease. Compared to Africa or India, Europe has few leprosy cases. Poverty contributes to leprosy. It is a vicious cycle,” Mr Nguyu added. There is a certain sense of hopefulness in the village and indeed the entire district. In recent years, there has been a significant decrease in the amount of young people diagnosed with the disease. Frank Taji, a village resident and caretaker for the leprosy centre guesthouse, has noticed an increase in young people living and working in the village. “People with leprosy can have a good life now. There is a generational gap. Young people don’t really get leprosy anymore because of awareness. In fact, a lot of young people travel to this village to get married,” he said. His own children are free from the disease and have stayed in the village throughout their lives, even establishing their own shops and local business’. However positive the villagers may appear, the fight to eradicate leprosy entirely by 2020 remains a difficult and often tedious battle. “Right now, I do not believe eliminating leprosy is possible. To eliminate you must have a vaccine and there is no vaccine for leprosy. At the moment, we must focus on the diagnoses,” Mr Nguyu said. In the last quarter of the year, Mr Nguyu and the shoemaker Sulumu have travelled to four villages to spread awareness of the disease. This included travelling from house to house in these often isolated villages and diagnosing people. 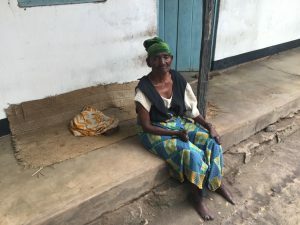 A lack of understanding, especially from those in very isolated and impoverished areas of the Rufiji District, has made it difficult in some cases for people to access the correct treatment for the disease. This serious lack of education is an issue that Mr Nguyu and his team in Kindwitwi aim to tackle. “In the future, I would hope to see all leprosy patients cured and living independently with no assistance,” he added. For now, however, it seems the fight against leprosy must centre on awareness and treatment and the knowledge that leprosy is indeed a disease and indeed curable.